Tired of seeing those pesky rodents and creepy insects crawling over the walls of your humble house? Sonic Pest can reject mice, rats, mosquitos, roaches, spiders, and fleas by attacking their nervous system with state of the art ultrasonic and electromagnetic waves. 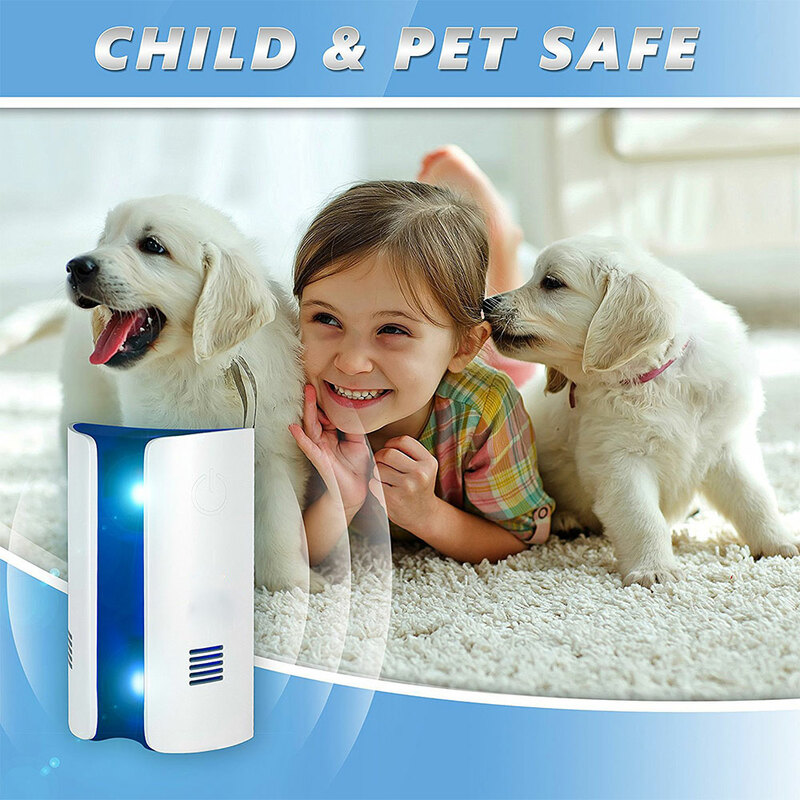 KEEPS HUMAN AND PET SAFE: Uses an ultrasonic frequency (22-65Khz) sound waves instead of harmful chemicals to drive pests away. Enjoy an odorless and non - toxic solution to your problem! NOISELESS: The ultrasonic pest repellent is only audible to pests such as mice. Humans and pets won’t hear anything and there is NO harm to children and pregnant women. Enjoy a restful evening as the Sonic Pest works while you sleep! AMAZING WIDE EFFECTIVE COVERAGE: The Insect & Rodent Repeller is effective in an indoor area up to 1,300 sq! NEWEST TECHNOLOGY: The latest in ultrasonic pest repeller technology, this pest control ultrasonic repeller uses the newest ultrasonic and electromagnetic waves to drive away mice, rats, spiders, ants, bugs, cockroaches, mosquitoes, fruit flies, fleas, crickets, gnats, insects, and rodents. With over 4,258 units sold, there's a reason why our customers LOVE this must have in a house - 94% purchase more than one to cover the entirety of the house. So, buy it now, and let the Sonic Pest help to eradicate your pests so that you can enjoy the comfort of your own home!